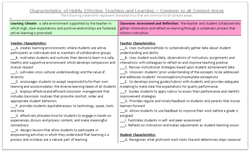 This is a card that shows the Characteristics of Highly Effective Teaching and Learning front/back. This document provides teachers and administrators grade band progressions of the standards, overviews of each grade level with expectations and standards by domain and clusters for each grade level K - 8. "Dan and Chip Heath have done it again ... Any leader looking to create change in his organization need not look beyond this little book. It is packed with examples and hands-on tools that will get you moving right away. And it is really a fun read." Educators who are beginning to build collective knowledge about common assessments, grading and reporting, formative assessments, and other assessment topics will find this book invaluable. It is one stop for understanding a comprehensive and balanced assessment system. 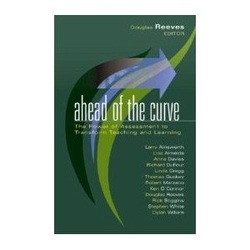 The great assessment thinkers, from Stiggins and Guskey to Reeves and O'Connor contribute to this work, giving the field a common vision of assessment.